Michael Byrne works for Westpac Group in Melbourne. An original SF1000 runner, Michael or 'Rowdy' as he is ironically named, has taken to the road almost every year since and has organised three successful Sanfilippo Westpac golf days! He's looking forward to this latest challenge. Why are you supporting the Sanfilippo cause? I have been involved with the Sanfilippo cause since the inaugural SF1000 event in 2015. Prior to that, I learnt about Sanfilippo and the devastating impact it has on affected children and their families. Events like this enable me to continue to provide support, albeit in a small way. I would have what you would probably refer to as a " Yo-Yo level of fitness". I'm very much up and down. I go through periods where I am fairly fit and then my late 40s body will let me down somehow and I lose that fitness. Hopefully I am at a reasonable level at the moment for the Newcastle to Sydney run. The furthest I have run is the original SF1000 from Melbourne to Sydney, however the most on any one day would be around 32km. 3) Don't just do running - make sure there are plenty of other activities built into a fitness regime. 3) Deodorant (and hopefully this is on everyone's list). Running 25km for 10 days with 7-10 other blokes could get very unpleasant. What are you looking forward to most/ least? The most - Reuniting with many of the original SF1000 runners and welcoming some new team members as well. The least - the first steep hill! "Don't think, just do!" ... Probably more appropriate in a sporting sense and definitely appropriate when considering undertaking something like the Newcastle to Sydney run. As an original SF1000 runner, why are you returning? I participated in the original SF1000 event and it was a fantastic experience on so many levels, the most important, being able to in a small way, help raise awareness and raise funds for the Sanfilippo Children's Foundation. Since then I have participated in each of the Surf Coast Century events under the SF Super Series banner and have helped organise 3 x SCF fundraising Golf Days in Melbourne. 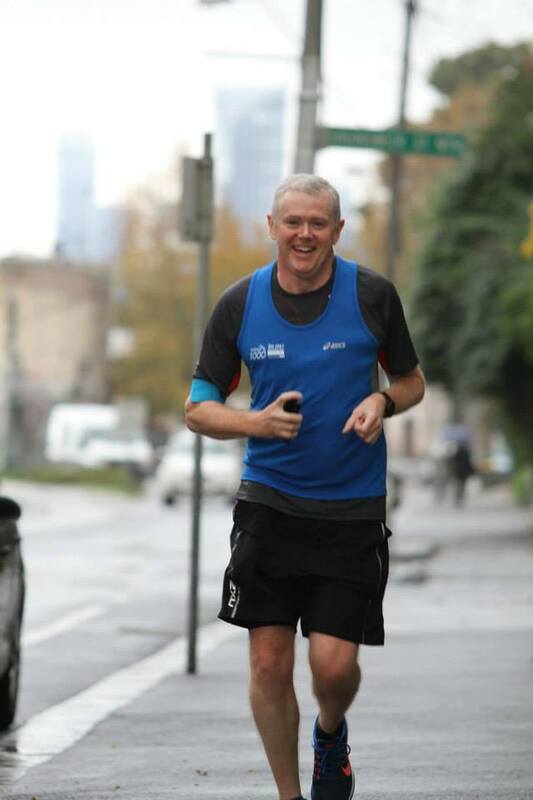 The Newcastle to Sydney run is hopefully another way that I can help in that small way.